My Protest to the Times: "Effete Warmonger Kristol/Sanitizing Five Years in Iraq"
Below is the letter I just sent to Bill Keller, Managing Editor of the New York Times. I was especially influenced by David Bromwich's conclusion that the Times consistently has attempted to "shift legitimate opinion toward acceptance of a large and permanent American force in the Middle East." I was one of the individuals who canceled my [sic] subscription (of more than thirty years), when the Times decided to hire William Kristol as a columnist. Not a dime of my money will go to the Times as long as it pays that scoundrel, who I call the "effete warmonger," to write his neocon trash. But I take great delight in the knowledge that the effete warmonger committed an egregious error in his Times' column today, an "error" reminiscent of those committed by Jayson Blair. While waxing accusatory about Barack Obama, the Times' effete warmonger incorrectly placed Senator Obama in Reverend Wright's church on July 22, 2007, the date when Wright gave one of his more incendiary sermons. According to Keith Olbermann, your effete warmonger obtained his incorrect information from the disreputable right-wing news source: Newsmax. Slipshod sourcing in the service neocon ideology has long been a distinguishing trait of your effete warmonger. But, according to Keith Olbermann, you, Mr. Keller, knew or should have known that the Obama campaign had already established that the Senator was in Miami, Florida on July 22nd. Moreover, the Obama campaign made this information available a day BEFORE you permitted the effete warmonger to publish his column. This is not the first such error by your effete warmonger. Thus, the question: "How many more such errors before you sack him?" Or are you simply exporting Judith Miller's disdain for the facts from the newsroom to the opinion page? Beyond such mangling of facts is the unfortunate bias you brought to the subject of Iraq after five years. Should you desire to pursue honest, forthright journalism sometime in the future you might want to read David Bromwich's March 17, 2008, Huffington Post article about the Times' abysmally poor (if ideologically revealing) choice of "experts." Did it ever occur to you to consider assigning an "expert," who opposed the war before it began? How about an "expert," who would have addressed the illegality and immorality of Bush's preventive war? In September 2002, writing in The Philadelphia Inquirer, I opposed Bush's 2002 National Security Strategy extolling preemptive war -- as well as his determination to give his strategy a try in Iraq. 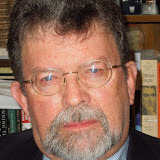 (See http://www.walter-c-uhler.com/Reviews/preemption.html ) Moreover, I've spent much of the past five years attempting to uncover the criminality and incompetence that describes the invasion and occupation of Iraq. I would have been glad to write about Iraq after five years. I would have given you paper a breath of fresh air. Better yet, you might have asked Jonathan Steele. Writing in his new book, Defeat: Why America and Britain Lost Iraq, Steele asserts: "I accept as a given that the war was illegal, since it had no UN backing. No other UN Security Council members shared the US and British governments' line that UN resolutions going back to 1990 provided sufficient authorization for an invasion in 2003. I also accept that the war was unnecessary." But Steele's book focuses on the American occupation of Iraq, not its invasion. And, here, his point is quite blunt: "The occupation had created the resistance and there was no way to end it without ending the occupation." In a word: What's wrong with you? The Grand Jury Report: Part two of "What did Joe Paterno know and when did he know it?"